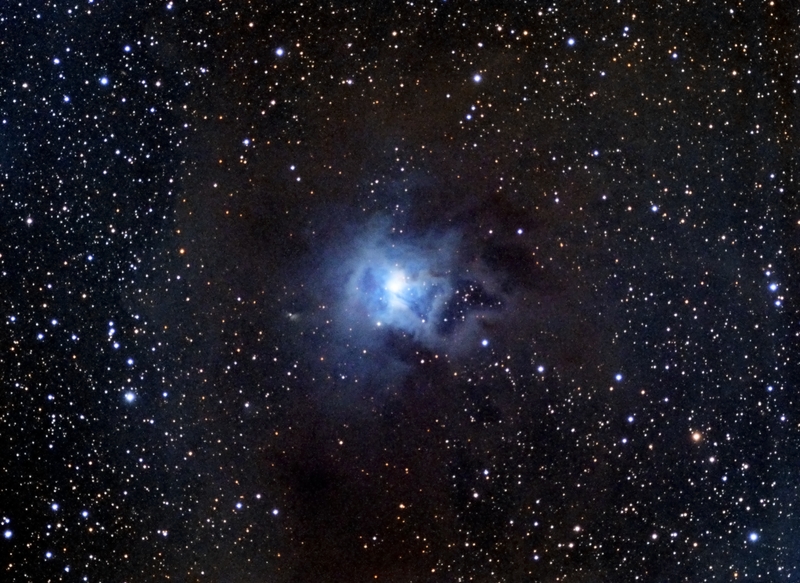 Located in the constellation of Cepheus, NGC 7023, known as the Iris Nebula, is a reflection nebula of considerable brightness. 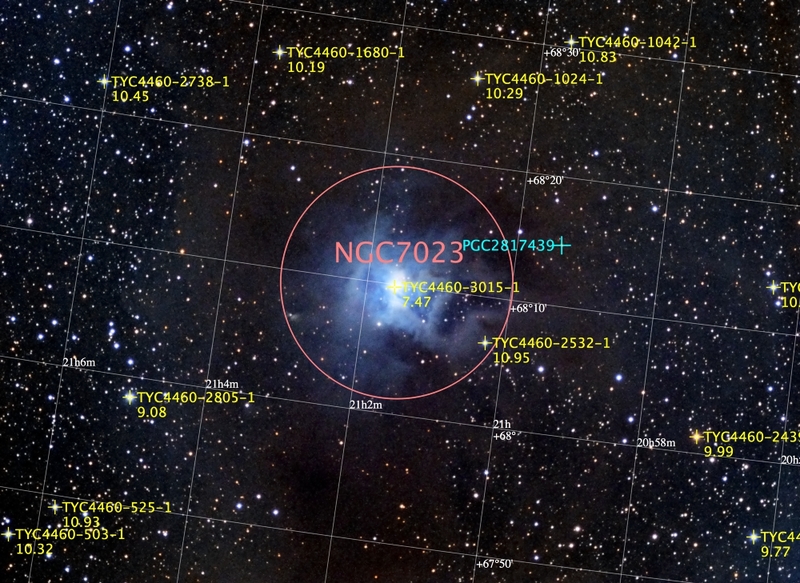 The clouds of gases that compose the nebula are lit by a small cluster of stars. Gas clouds further from the cluster can also be seen in the image as dark nebula, obscuring the star fields behind them. The Iris Nebula is a relatively close deep sky object, at roughly 1,300 light years from Earth.